Look, I broke my arm alright. I thought I had better squeeze these in before May is out, otherwise they’ll begin to feel outdated and irritating, like Noel Edmonds or woolen trousers. So, amidst muffled fanfare and the half-hearted applause of a fanatical few, let us begin. Remarkably, in a season which will be remembered as much for calamity as class, there are several credible contenders for this award – three of whom are arguably surprise candidates. At the start of the campaign, both Laurent Koscielny and Mikel Arteta were expected to play supporting roles to the men playing directly next to them. However, a combination of injuries and poor form meant that Thomas Vermaelen and Jack Wilshere never hit the heights expected of them – or, in Jack’s case, never even hit the pitch. In their stead, both Koscielny and Arteta stepped up to the mark with some outstanding performances. Laurent eradicated the silly errors that marred his first season to become the model of consistency, whilst Mikel’s importance to the team was underlined most pointedly by how desperately he was missed when absent. The contribution of both players did much to make up for the aberrations and absence of more illustrious team-mates. It may seem unfathomable now, but the winner of last year’s ‘Worst Player of the Season’ Award was one Tomas Rosicky, who “made 34 appearances without doing anything of note”. For the first half of this season, that ineffective form continued, until he suddenly sparked in to life – and what life. Against the odds, Rosicky has found the best form of his Arsenal career, supplanting Aaron Ramsey and bringing verve and vision to the Arsenal midfield. He rightly earnt himself a new deal, and will be hoping to carry his tremendous end-of-season displays in to next season. However, despite the various claims from these three pretenders, there can surely be no arguments about the fact that the crown ultimately goes to one Robin van Persie. His quality has long been undoubted, but this year he finally managed to shed the concerns over his fragility. Taking on the armband has seen him flourish both as a player and a man, and it’s hardly worth imagining how 2011/12 might have panned out without him. 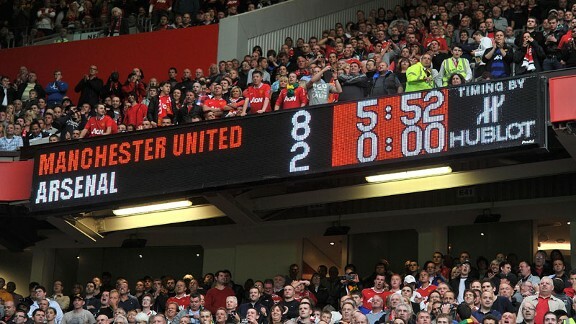 Saying that, depending on how the summer plays out, we might just get a pretty good idea in 2012/13. 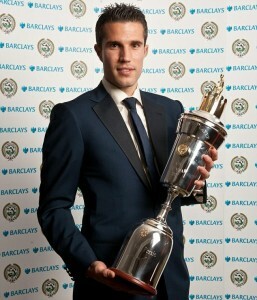 Let’s enjoy him and raise a glass to him while we can – Robin Van Persie: the best footballer in the country. 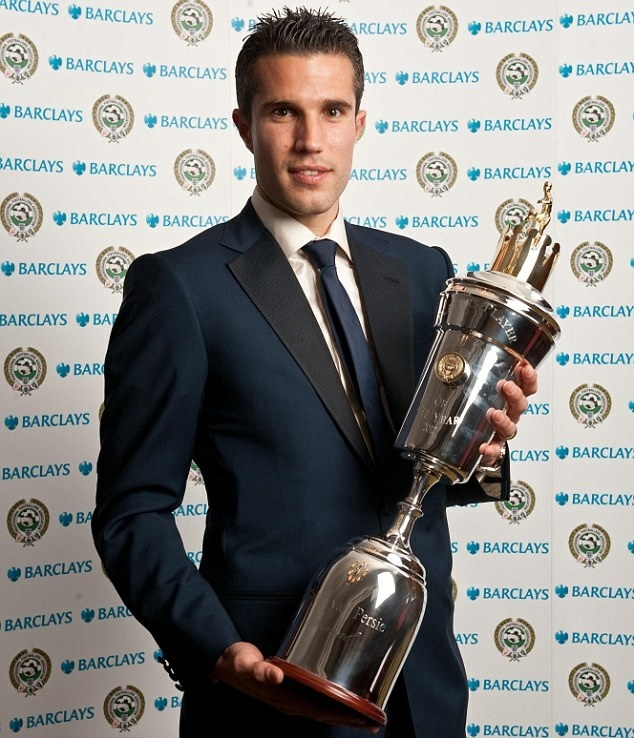 This is always a hotly-contested award in this Arsenal squad, and I certainly found it hard to call. I haven’t been entirely convinced by Kieran Gibbs’ first full season at left-back, and to be fair to him he suffered a fairly hefty injury which ruled him out for the middle third of the season. So that was him off the list. I toyed with the idea of giving to Francis Coquelin – a young man who returned from a loan spell at Lorient fairly unheralded, and showed his mettle as a midfielder, full-back, and invaluable squad member. And then I plumped for Alex Oxlade-Chamberlain: a teenager who in twelve months has gone from League One to Champions League and on to the European Championships. The thought of what he could achieve with such an impressive first campaign behind him is mouthwatering. And then I remembered: there was one candidate I was overlooking, simply because I had forgotten that he was even young. I simply accepted him as an essential part of the team. Wojciech Szczesny only turned 22 last month. In goalkeeping terms, he is a baby – fully three years younger than Joe Hart. To play almost fifty games, with only the odd dip in form, is an outstanding achievement for Szczesny. Next season he will inherit the number one shirt, and I can’t see him letting go of it any time soon. It’s never nice handing this out, but it is tradition, so we may aswell get on with it. Perrennial contenders Almunia and Fabianski didn’t really get enough game-time to bungle themselves into consideration. I thought long and hard about awarding it to Park Chu-Young, but decided he was more guilty of invisibility than ineptitude – although perhaps that’s because his greatest crimes came on the training pitch. In the end, however, I’ve plumped for Marouane Chamakh. The Morroccan ventured on to the field 13 times more than Park, without managing to beat the Korean’s goal tally of ‘one’. He simply has not lived up to either his generous pay-packet, or his performances in the early part of his Arsenal career- and unlike Tomas Rosicky, I don’t think he’ll get the chance to prove me wrong next season. It’s been a thrilling season, so it’s no surprise there are plenty of contenders here. It won’t live as long in the memory as others, but I for one enjoyed our workmanlike display to beat the eventual Champions, Manchester City, thanks to Mikel Arteta’s late strike. Our entire season felt like a comeback, and it was full of microcosmic comeback games. Highlights include the 5-3 victory at Stamford Bridge, Thomas Vermaelen’s late late winner against Newcastle, and the incredible attempt to reign in AC Milan. The undoubted winner, however, has to be Arsenal 5 – 2 Spurs. Bacary Sagna’s thumping header turned a season on its head, and set us up for a late run that would ultimately see us pip Spurs to third and the Champions League. It was a fantastic day, and a quite outstanding match. I won’t pore over the details. It was painful enough the first time. Suffice to say that in my time as an Arsenal fan I cannot remember a game in which we were so comprehensively humiliated by a rival. I will now consign this game to the same part of my brain that stores the image of John Terry lifting the Champions League trophy, and attempt not to mention it unless absolutely necessary. Afraid not. The highlight of my season was the magical moment when Thierry Henry not only deigned to return to the Emirates turf, but dared to grace it with a goal so transporting we all felt that Arsenal, briefly, were Invincible again. Like Martin Tyler once said, the man is simply electrifying. I think it tells you something about the topsy-turvy nature of the season that there were as many crushing disappointments as uplifting highs. I’m going to go in, the end, for a rather abstract winner: our dreadful start. Although our poor run in January was arguably more damaging to our final standing in terms of the points we dropped, our poor start was so frustrating simply because it felt so avoidable. Our failure to sort out the future of major stars early in the summer, and enable us to focus on completing our transfer activity ahead of the deadline cost us not only points but morale, momentum, and belief. I still believe it very nearly cost Arsene Wenger his job. It doesn’t take a genius to see that next season’s fortune’s are largely dependent on learning from our mistakes last time round. Over to you, Arsenal. Chelsea are already in one major cup final, and could make it two. This was, in many respects, our equivalent. After defeat against Wigan, a win was required to restore momentum and build a protective cushion between us and the chasing pack. I was bang up for this game, and had been excited all week. However, from the first five minutes I couldn’t help but think that the players didn’t feel the same. The game opened with a prolonged period of possession from the Arsenal back four, knocking it back and forth across the width of the pitch – there was no pressure from Chelsea’s attack, and little intent of driving forward from Arsenal. It burst briefly in to life at the latter end of each half, with Arsenal making most of the running, but it was more the most part an uninspiring affair. It had the feel of an end-of-season game in which nothing was at stake. And yet, bizarrely, there was a huge opportunity for both sides to secure a vital three points. Neither team was at the races, and the game was there to be won for anyone who could find an extra gear. However both sides seem to play with, as the Arsene Wenger might say, the “handbrake on”. Mikel Arteta was a huge miss. He is disciplined in his positioning, and intelligent in his use of the ball. At the best of times, Aaron Ramsey isn’t really either of those things, and out of form and out of position he fell well shot of the Spaniards standards. Alex Song was also poor alongside him, and Chelsea looked relatively comfortable in the middle of the park. I almost couldn’t believe my eyes when I saw him taking the field with half an hour or so to play, but I was impressed in flashes. With Arteta out for the rest of the season, Diaby (and indeed Francis Coquelin, who is also fit again) could be a key figure between now and the end of May. With a fresher Robin van Persie, we’d probably have won the game. Laurent Koscielny also struck the bar with a free header, and if any side was going to win it I was sure it’d be us – partly because of the inexplicable selfishness of Chelsea forward Daniel Sturridge, who ruined several counter-attacks by failing to make obvious passes to team-mates. I’m sure they were up for it. I’m sure they wanted to win. We’re probably just a little jaded. Due to injuries and lack of quality options, we have not been able to rotate the side much all season long. Inevitably, we’re suffering a little for that in the final straight. Every time I expect Tottenham’s form to pick up, they confound me with yet another disastrous result. Their form is so patchy that Newcastle are arguably now the greatest threat to our third-placed position. Arsenal have three games to go – our next, a trip to Stoke, is arguably the toughest. That said, none of the three sides we face (Stoke, Norwich, WBA) have much to play for. We should aim for nothing less than nine points, though I suspect six will be enough to claim third spot. Despite his recent ill-fortune in front of goal, he has been a cut above everyone else in the Premier League this season, and is richly deserving of following in the foot-steps of the likes of Thierry Henry and Dennis Bergkamp by being voted the PFA Player of the Year. There can be few greater honours than being recognised by your fellow professionals, and I hope this individual gong will be followed by the trophies his class richly deserves – with Arsenal, of course.